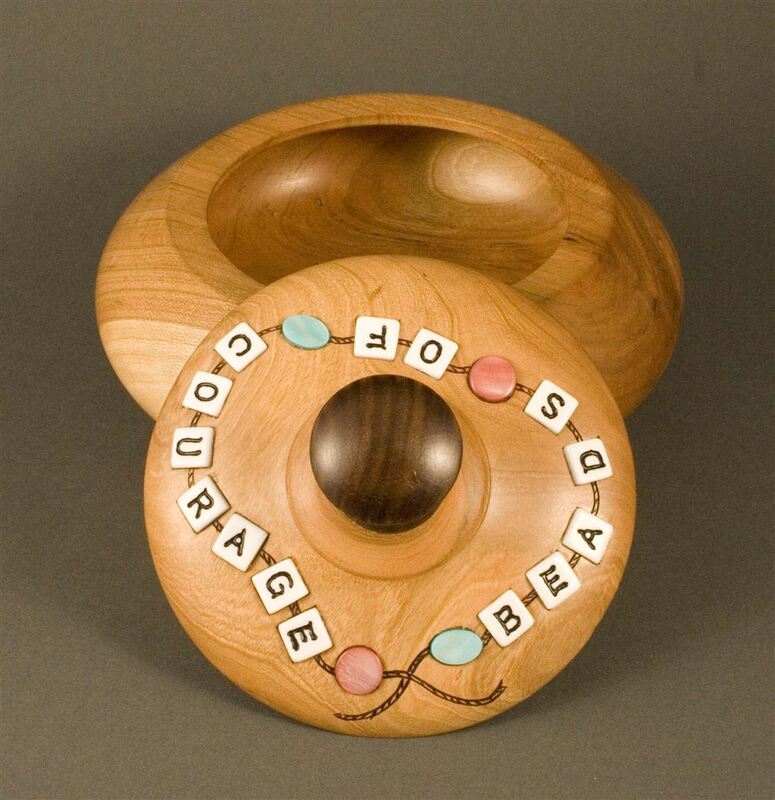 Throughout the year OVWG members turn Beads of Courage (BOC) boxes. The boxes are collected and donated to Cincinnati Children’s Hospital Medical Center where they will be given to cancer patients. The children (patients) use these boxes to hold the beads they receive for reaching milestones in their treatment regimen. The dimensions of the boxes are 5 to 6 inches in diameter and 3 to 4 inches deep. The lid should be loose fitting so that it is easy to remove. I encourage you to read these guidelines so you can produce a box that is acceptable to BOC organization and of maximum utility to the child but is not a danger to them. Disregard the section on how to donate your boxes as the club will take care of getting the boxes donated. Bring your completed boxes to a regular meeting or leave them at the Learning Center for distribution to the hospital. We encourage all members to make a few boxes. Looking for a change of pace let your creativity shine! We look forward to seeing many beautiful and creative creations. David Wright davidwright@fuse.net has a supply of ceramic BoC disks that can be incorporated into your box/s if you so desire. Contact him to receive one or more for you box/s. Below are guidelines from BoC website. Beads of Courage members may receive thousands of beads. It is desirable for your boxes to hold them all. 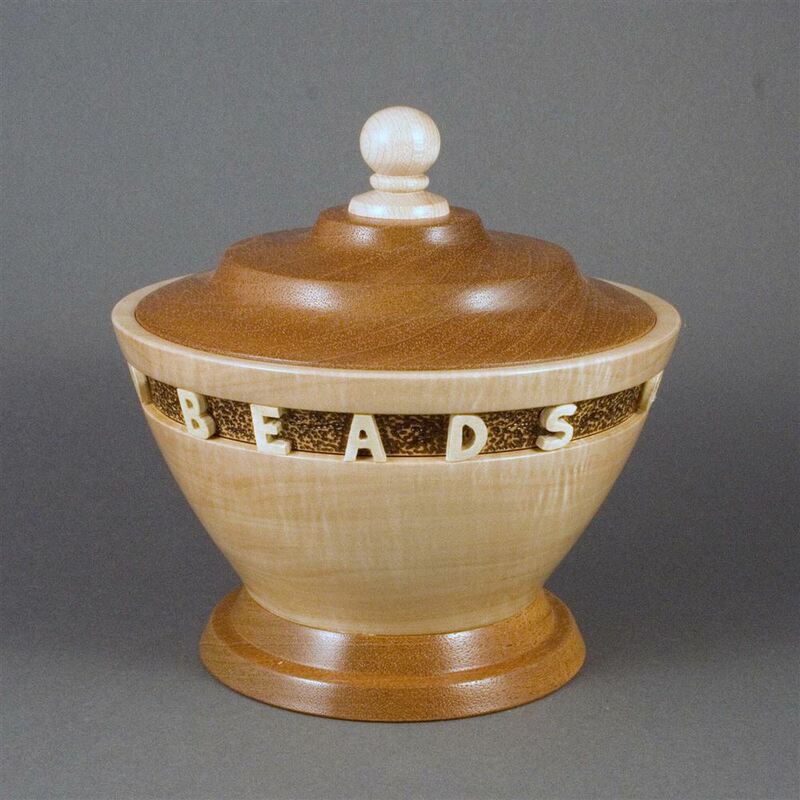 As result, turned or rectangular lidded boxes need to be large. Recommended interior dimensions for turned boxes are: 6" diameter (5" min. ), 5" height (4" min.). Recommended interior dimensions for flatwork boxes are: 4" x 6" x 4". Box bases should be wide enough so the box is stable and does not tip over easily. Lids for Beads of Courage boxes should be easy for small or ill children to remove or lift. Any finials should be easy for a small child to grasp and not too elaborate so they don't break. Avoid excessively elaborate designs that may easily break or be damaged; remember, hospital rooms have limited storage space. Finishing of boxes is extremely important! Beads of Courage members who receive these boxes are susceptible to germs/ infections/mold. Bowls that have not been properly sealed can harbor mold. Please take the time to ensure you are using a safe finishing process that does not contain toxic materials. Also do not use finishes like linseed oil that take a long time to outgas. All kinds of wood are beautiful! Please refrain from painting Beads of Courage boxes. 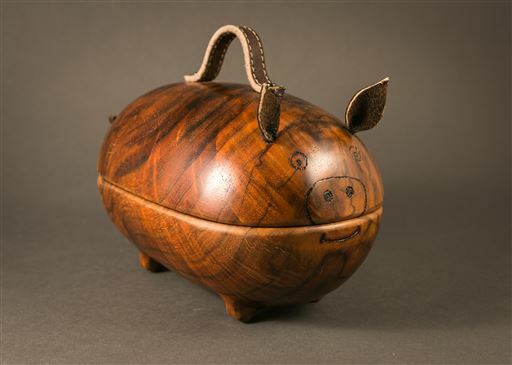 Instead, highlight the beauty of the wood with clear varnish, a stain, and/or burning. Designed specifically for your donation, each logo bead comes with a Woodworker Artist card that includes your personal signature. While these beads are not mandatory, we appreciate how they connect your art with our mission and our Beads of Courage members love to know who made their beautiful gift!